We help you receive your daily nutrition requirements. Part of staying healthy and thriving at home is to eat healthy food. 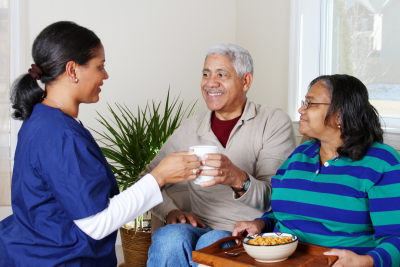 To ensure that you always stay well-nourished, our caregivers can prepare healthy meals for you. They work with your dietitian or physician to ensure that you get your daily nutrition requirements with food that is healthy and suited to your tastes.